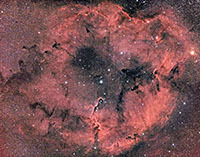 Nebulae (from the Latin: "clouds") are interstellar clouds of dust, hydrogen, helium and other ionized gases. All are located within our own Milky Way galaxy. 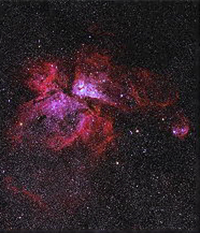 However, before the true nature of galaxies was established by Vesto Slipher, Edwin Hubble and other astronomers during the early part of the 20th century, all diffuse astronomical objects were called nebulae. That was because at that time, it was widely thought the Milky Way was the entire universe. 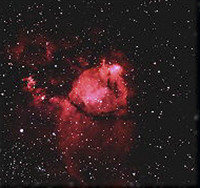 Nebulae come in various sizes and shapes. Among the largest and most prominent are star-forming regions like the Orion Nebula (M-42), the Lagoon Nebula (M-8) and the Eagle Nebula (M-16); all favorites in small telescopes. Such objects usually appear pink or orange-red in long exposure photographs because they contain ionized hydrogen which emits light of those wavelengths (H-α). 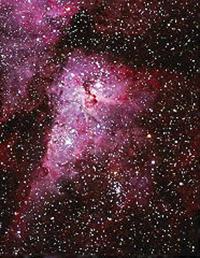 The Eagle Nebula or M-16 is depicted in one of the Hubble Space Telescope’s (HST) most famous images, the "Pillars of Creation". In such regions the accumulation of gas, dust, and other materials "clump" together into larger masses, which gravitationally attract further matter, and eventually condense into proto-stellar disks and then stars. The materials circling such proto-stars are believed to form planets and other planetary system objects. 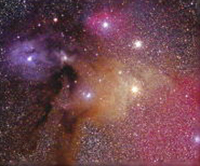 In addition to such emission nebulae, our galaxy is also populated with dark nebulae, which are actually interstellar dust blocking visible light waves. 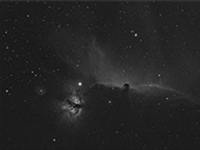 The famed Horse Head nebula is one such example. Other colors, including blue and turquoise hues, are also caused by interstellar dust particles which preferentially scatter blue light. 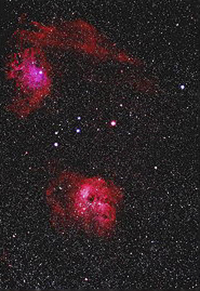 The blue colorations associated with parts of the Orion Nebula and Triffid Nebula (M-20) are examples of that. Other favorite types of objects to observe with amateur telescopes are the so-called planetary nebulae. 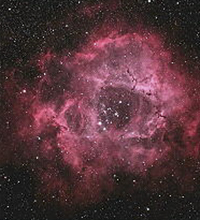 The Dumbbell (M-27), Ring (M-57) and Helix nebulae are popular examples. The term planetary comes from the fact that many of these objects appeared planet-like to early astronomers when seen in small telescopes. In actual fact they are the remnants of stars in the latter stages of their evolution when they eject masses of gas into an expanding shell. Stars which are much larger than our sun or unusual binary stars, will die in more dramatic fashion by undergoing a catastrophic explosion called a supernova. 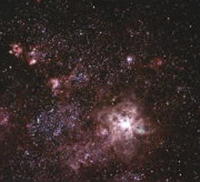 The remnants of such stars are subsequently scattered throughout the galaxy. 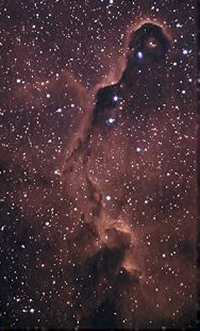 The Veil Nebula and IC 443 and 444 are prominent examples of that. 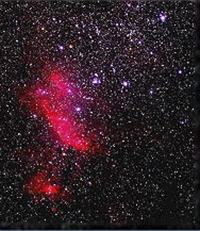 A supernova explosion was recently observed in the nearby-galaxy M-82.